Enjoy a day tour to Fayoum Oasis from Cairo. You will get to visit Karanis which is the ruin of an old city. Then head to see Qaroon Lake, the oldest natural lake in the world, famous for its birdlife, and stop off at one of the best natural oases in Egypt, Wadi El-Rayan. 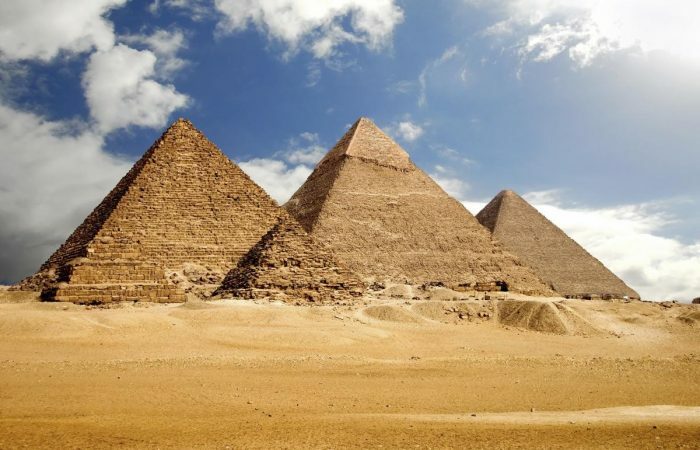 Sarandeep Tours representative and driver will pick you up from your hotel in Cairo for an unforgettable day tour to Fayoum Oasis where situated about 95 km from Cairo. Upon arrival in Fayoum you will enjoy a visit to Karanis which is the ruin of an old city. That city contains a number of monuments, dating from the Roman, Coptic and Early Islamic. Then you will proceed to visit The Water Wheels which are said to be running since the Ptolemaic era. After that enjoy Lake Qaroun which considered the oldest natural lakes in the world, the third largest lake in Egypt and the rest of lake Old Moerisi. Lunch at a good quality local restaurant. After that you will be escorted to Qasr Qaroun about 55 km North West of Fayoum City. It consists of the well-preserved temple and remains of the Graeco Roman City of Dinysios. Then onto Wadi El Rayan, designated a Protected Area in 1989, Wadi El Rayan is a natural depression located in the western desert, 42m below sea level. 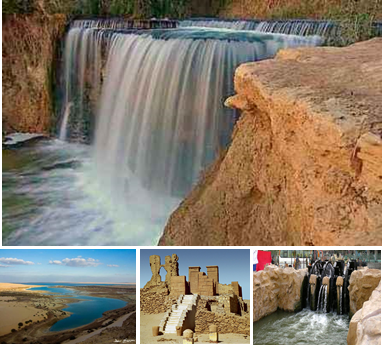 Wadi Rayan consists of two lakes connected by Egypt’s only waterfalls, formed in 1970 by an overflow of drainage water from the farmlands in Fayoum. Later you will be transferred back to your hotel in Cairo.